477HP DET DD15/12 SPD AUTO/240 GAL TANKS Aerodynamic and easy to handle with tight turning radius, strong and reliable Detroit DD15 engine at 477HP, clutchless Detroit 12 speed automatic trans all make this the ideal City truck that helps you spend hours behind the wheel without feeling exhausted! 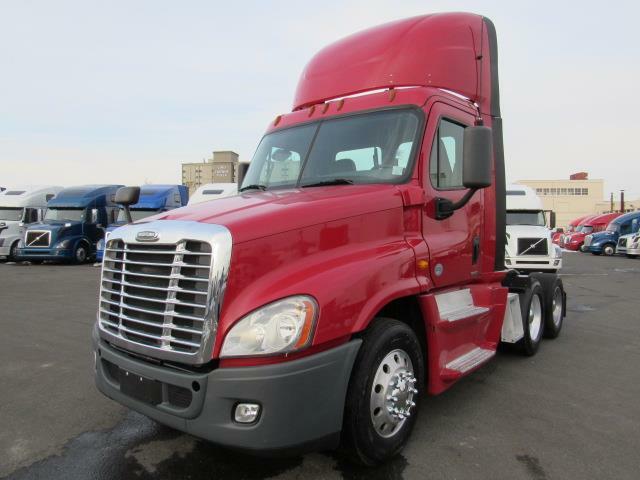 Hood mirrors to reduce blind spots, fog lights and fog free heated power mirrors, power locks and windows, 3 stage strong engine brake, trailer brake toggle control, Automatic traction control to get you out of snow/mud, easy clean rubberized floor, fresh PM service and Federal DOT, Free Arrow limited warranty, this truck has it all! Come on in for a test drive.